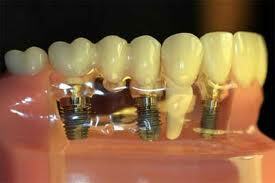 Dental implants is a procedure of replacement tooth roots. Tooth replacement surgery provide a strong foundation for fixed or removable replacement teeth that are made to match your natural teeth. Dental implant surgery is the best suitable option for people to get good general oral health who have lost a tooth or teeth due to periodontal disease or some other injuries. After this tooth replacement procedure tooth very natural looking and feeling. Dental implants are long-term replacements of tooth that your maxillofacial surgeon surgically places in the jawbone. Dental implants are actually more tooth-saving procedure than traditional bridgework, tooth replacement surgery do not rely on neighboring teeth for support. Success rates of dental implants surgery up to 98%. With proper care, implants can last a lifetime. By replacing missing tooth roots, dental implants procedure provide people with the strength and stability required to eat all the foods they love, without struggling to chew. 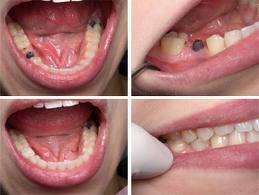 Replace one or more teeth without affecting bordering teeth. Support a bridge and eliminate the need for a removable partial denture. Provide support for a denture, making it more secure and comfortable. With a local anesthetic, dental implants usually done right in the dental clinic. 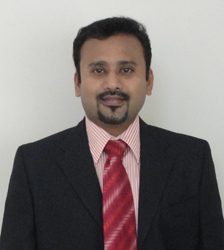 Dr.P.Sureshkannan is one of the best dentist in India. 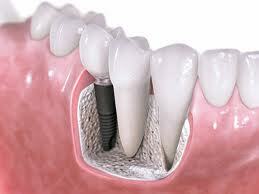 Dental care centre Tamilnadu India offer cost effective dental implant surgery.